What are Pilates and how can they promote relaxation at home? What are Pilates? They were invented by Joseph Pilates around the First World War and were refined for over 80 years. Pilates are similar to yoga in the sense that they require the mind and body to unite in a common purpose and there is a lot of mat work involved. Does Pilates Work? Pilates were practiced by more than 11 million people in 2005 according to the Wikipedia page on Pilates. I have been practicing Pilates on and off for about 7 years now and I keep going back to it because it works. I enjoy pilates because they don't really feel like a work-out as they are so much fun. Rolling like a ball and stretching can't be considered to be hard-core exercises, can they? Pilates calm you down, trim you down and reinforce your core muscles. Although the basic exercises associated with pilates are simple in nature, some of them are quite difficult to master, but it's possible when you have the proper guidance, whether it's from an instructor or a DVD system. Pilates exercises focus on the powerhouse, which consists of your abominal, lower back, buttocks and hips muscles. By strengthening these muscles, your day-to-day activities will be easier on your body. Your posture improves, and you also look slimmer. Pilates also focus on proper breathing techniques during exercises. You have to breathe in and out while focusing on the particular muscles being used. It's all about controlling your muscles. 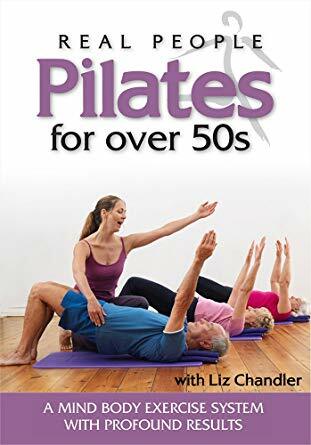 I have tried many pilates DVDs, including the Dummies version and other barely known instructors' DVDs and here is my opinion on the best pilates DVD systems out there. When choosing your Pilates DVD system, you must first figure out what you want to achieve from your workout. Are you looking for a way to sculpt your body? Are you're looking to shed unwanted pounds in a fun and easy way? Do you want to learn the basics of pilates while getting rid of those love handles? Are you looking for a particular tool to target a particular area of your body? Do you want tighter buns and sexier abs? Pilates will improve your health, help you lose weight and help you relax at home. Are you still wondering "What are Pilates?" Pilates can help you stay in shape, lose weight, tone your body and manage stress. If you would like to include different types of exercises into your workout plan, I recommend these Exercises For Women. Fittplan.com provides resistance training, abdominal exercises, cardiovascular workouts and proven weight loss strategies to help women reach their physical potential.